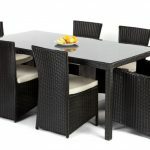 The Brenton Dining Set is truly one of a kind. 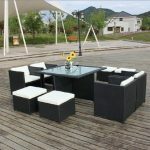 This set is neutral in color to match any existing design elements in your outdoor setting. 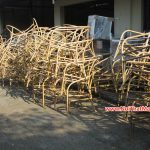 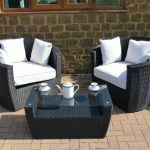 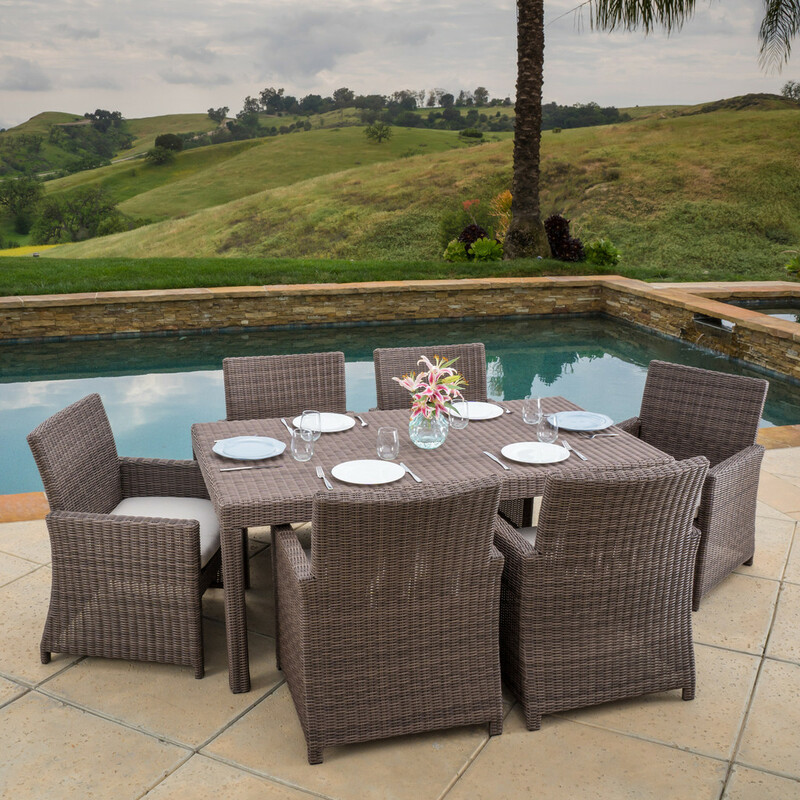 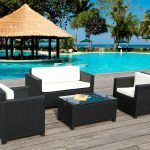 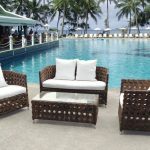 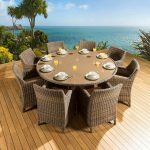 The set is constructed from brown PE wicker, wrapped around durable aluminum frame. 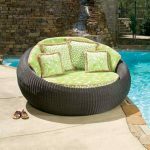 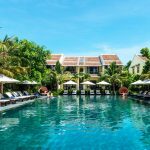 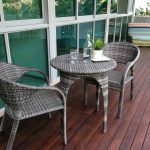 The chairs includes a removable Sunbrella cushion that gives users the option of adjusting your comfort level, while being durable and weather resistant. 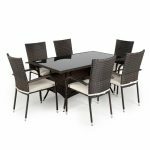 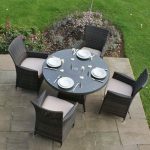 This contemporary dining set seats 6 people and will add a luxurious feel to your outdoor space.